This tutorial shows how to replace Bookmarks	in a Word Document with desirable Text	. 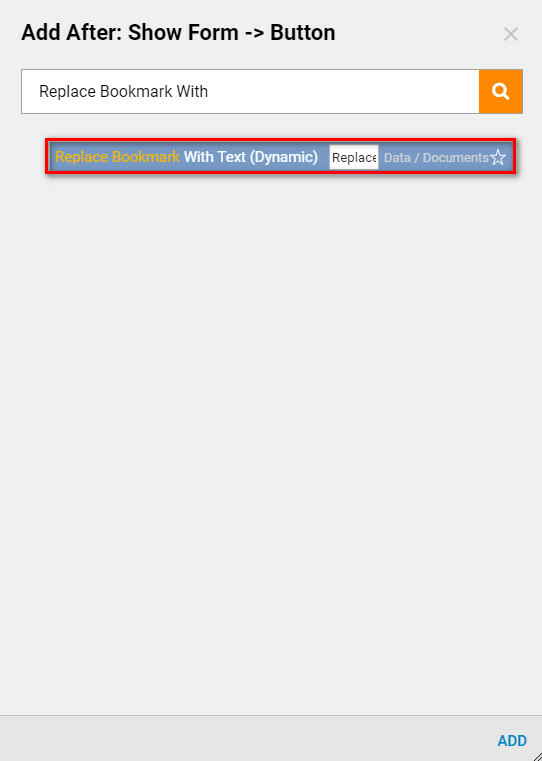 The Step that can be used for this function is called a Replace Bookmark With Text (Dynamic) Step	. 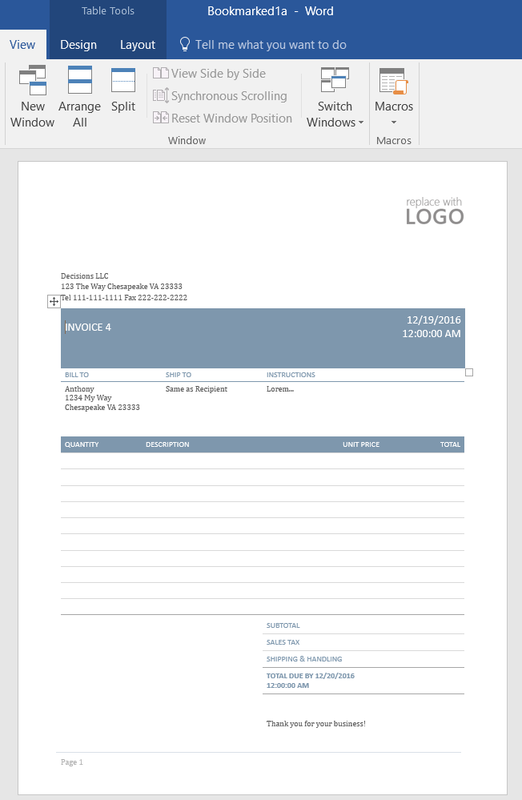 A Word Document invoice template has been created for this example. We have created Bookmarks in this template everywhere that the template has data in square brackets. 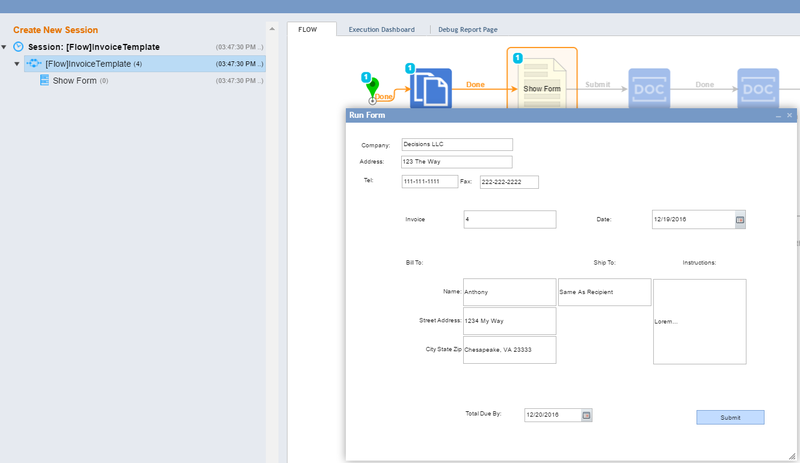 In this example , we are going to create a Flow with a Form , where the user will be able to enter information, and then, download the Invoice Template	using their Information . See the Invoice Word Document below (Figure 1). Begin the designer folder by creating and naming a Flow. 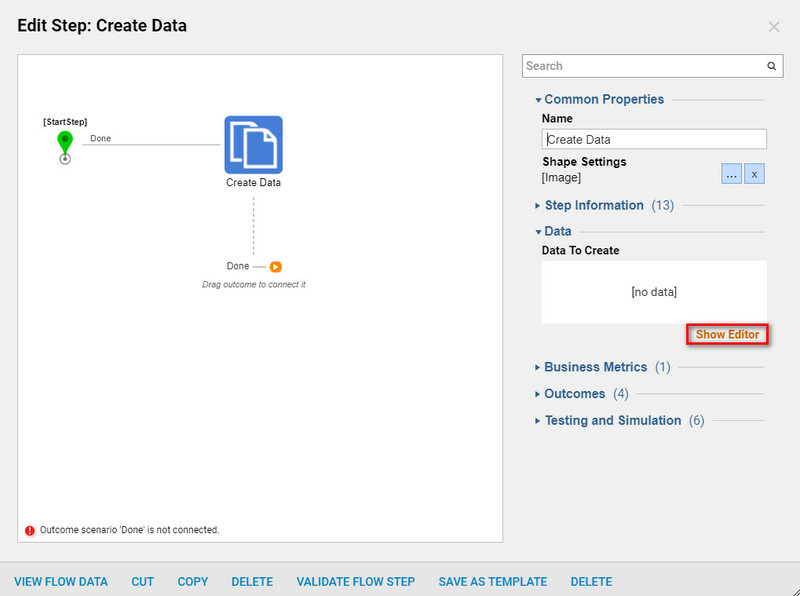 In the Flow designer , navigate to the Steps Tab	or use the quick add and locate the Create Data Step	from Favorite Steps	category in the Quick Add Step	dialog (Figure 2)***. *** In the Create Data Step	under Common Properties and under Data	select Show editor	to add data definitions. Add the Data definitionsName	and Type. In the drop-down list under Type choose File Data. Next set Doc File	underInputs	to Constant	and add the Invoice Template Document	to the Data Definition. Next, add a Form to the Flow. 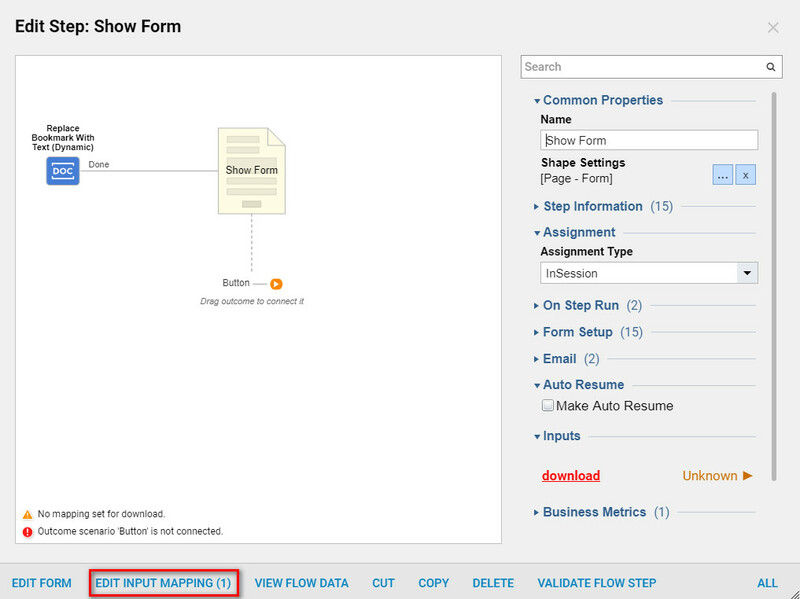 In the Steps Tab	locate Show Form Step	under Favorite Steps	and Add	or drag and drop	the step in the Flow designer. 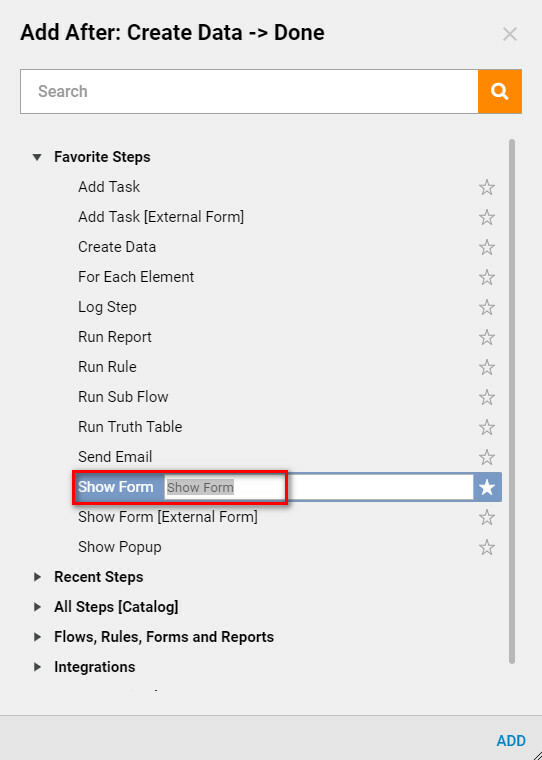 Select Show Form	in the Flow designer and then choosePick or Create	to Create	and Name	the Form . 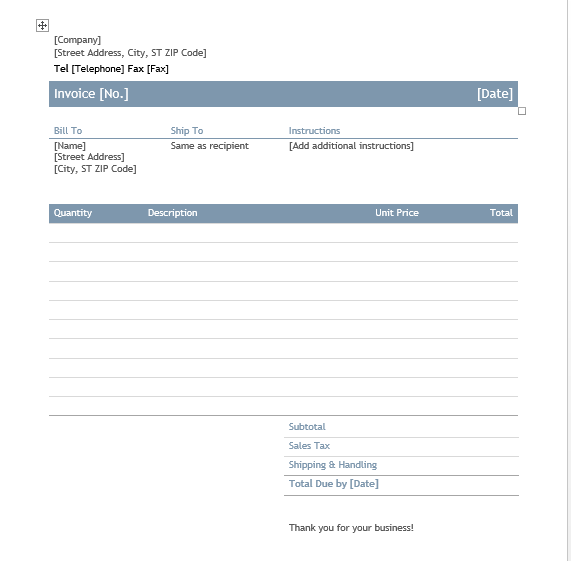 For this example, the Form will be given the name Invoice. This Form	is designed as following, it has numerous Labels	and TextBoxes	, couple DatePickers	, and Submit Button	. When we finish designing this Form	we can save and close Form Designer. Now select Edit Input Mapping Option	from this step’s Options . Define the Inputs,bookmark Name, Document File	andreplace With Text. 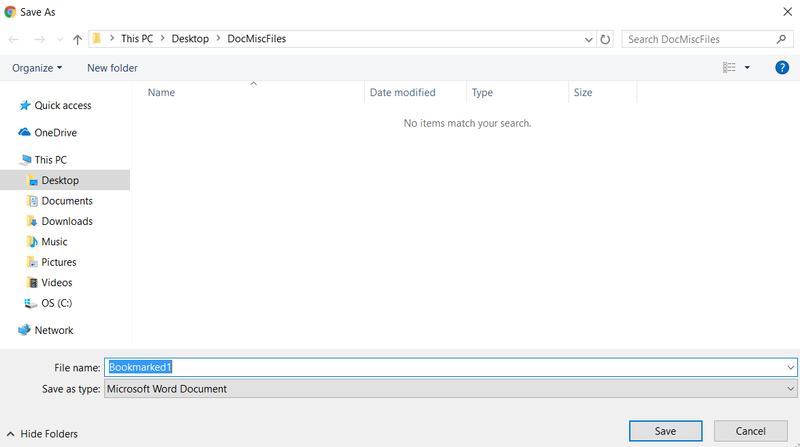 In the Mapping Editor , connect DocFile	to the documentFile	field. Then define bookmarkName	field and connect the respective outcome from the Form	to the replaceWithText	field. Navigate to EditOutput Mapping,	choose Change Value. 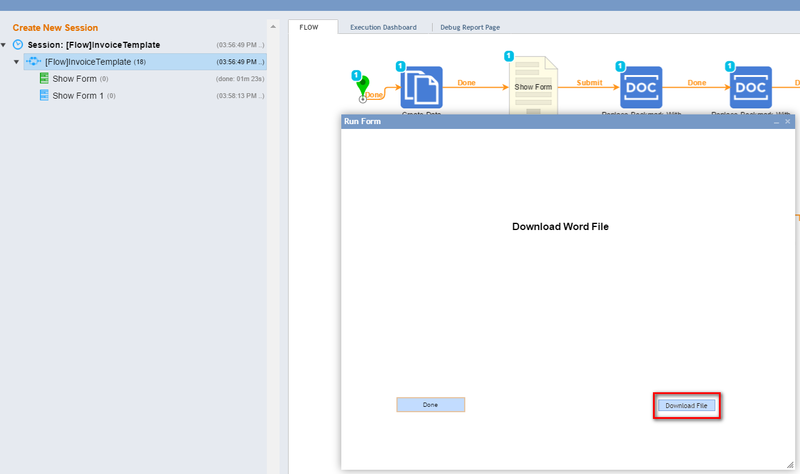 Then connect Output	to the Contents	field of the DocFile	(Figure 9). 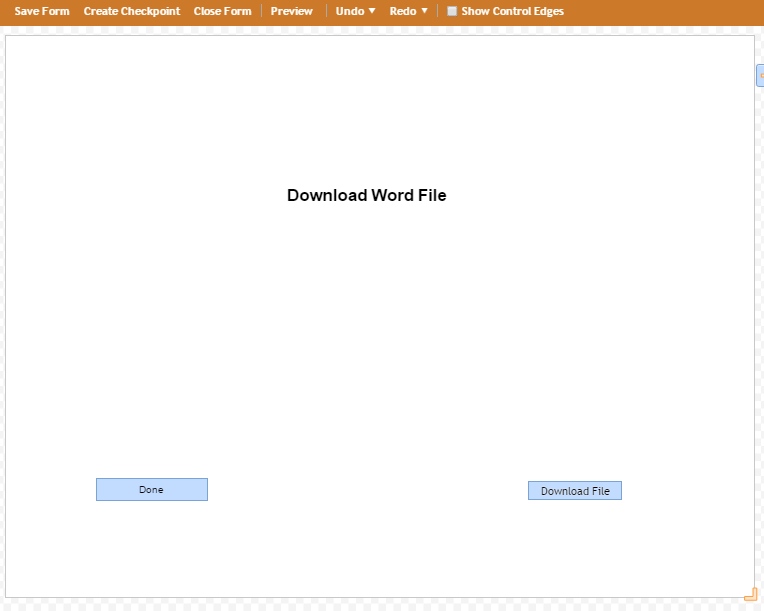 This mapping step will update the Contents of our Word Document	. Save and close Mapping Editor. 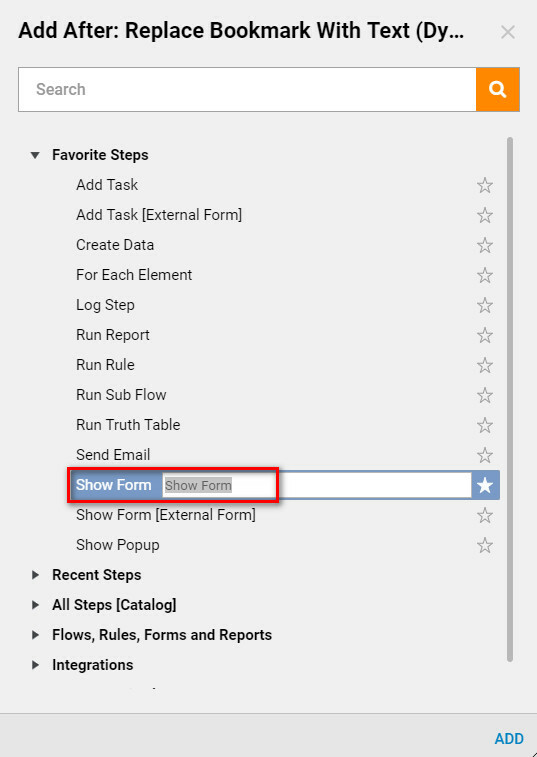 In the Flow designer , add another Replace Bookmark With Text (Dynamic) Step	from the All Steps [Catalog] > Data > Documents	category in the Quick Add Step	dialog. In the Mapping Editor, map data in a similar manner as the previous step. This time we use anotherbookmark Step	, and therefore, a different output value from the Form. The Output	configuration for this step is exactly the same as for the previous step. 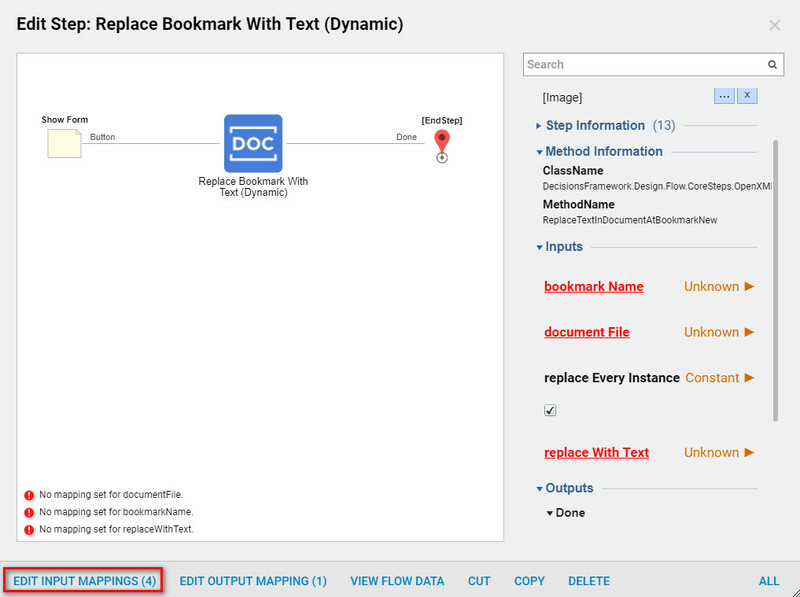 Because we have eleven different bookmarks in the Invoice Template	, ElevenReplace Bookmark With Text (Dynamic)	steps from the All Steps [Catalog] > Data > Documents	category will be used in the flow . The data for each Replace Bookmark With Tex	t will all map in a similar manner usingBookmark Names and User Inputs from the Form . The Output	configuration in Mapping Editor is the same for all these steps. Finally, add another Show Form	step from Favorite Steps	in the Quick Add Step	dialog to create a Download Form. 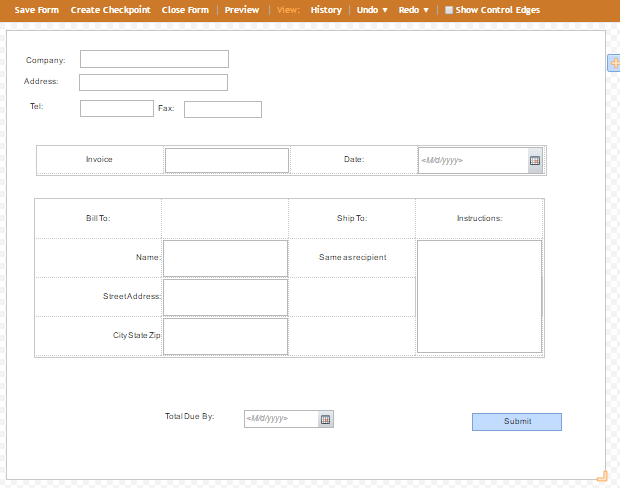 In the resulting window, Name the Form and select Create to proceed to the Form designer. This Form has a Title	, which is a Label	component from the Data	category, a Button	control from Actions	category, and a File Download	control from File Handling	category. When the Form is complete save the Form and close Form designer. In the Flow designer connect the Outcome	from the Download Form	to the End Step	in the Flow. 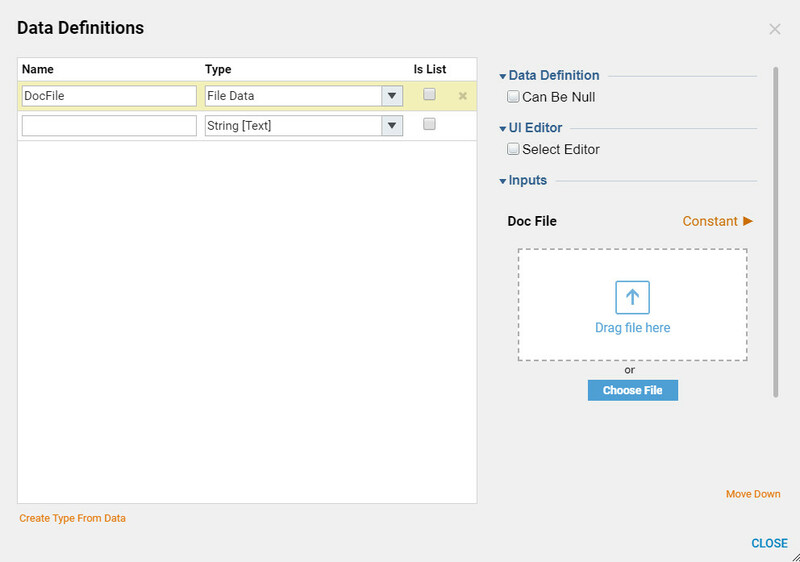 Select the Edit Input Mapping	for the Form step. In theMapping Editor , map the updated DocFile	to the FileHere Download	control on the Form (Figure 16) . Then, save and close Mapping Editor. This completes the Flow design, select Debug Flow	on the top action panel of the Flow designer to test the Flow (Figure 17). The Invoice Form	opens in the Debugger	. Fill in all required Fields and select Submit. Next, The Download Invoice Form opens. Select the Download File	button. Next, confirm the Download	process. Then Name	our File and Save. Back in the Debugger	select Done	on the Download Invoice Form. Locate the New Document	file and open it. Confirm that all bookmarks on the Template were changed with user’s inputs .